My daughter loves mythology, so she was happy to get started working on the Greek Myths curriculum from one of my favorite classical education publishers – Memoria Press. This program was designed to give your student all the tools they need to learn and remember the essentials of Greek mythology. D’Aulaires’ Book of Greek Myths Teacher Guide: 155 Page softcover book that includes an answer key to the vocabulary, comprehension questions and activities section, and tests to be given after your student completes a section of five lessons. It includes instructions and helpful tips for teaching this course. 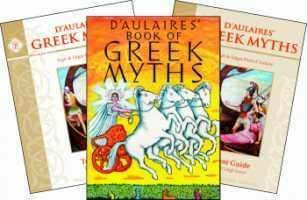 D’Aulaires’ Book of Greek Myths Student Guide: 106 Page workbook that includes 25 lessons, plus 5 review lessons, maps, a pronunciation guide (extremely helpful!) and drill lessons. 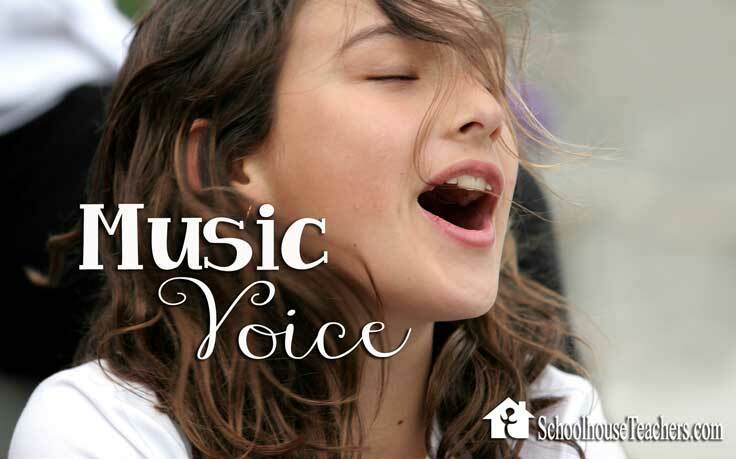 Each lesson covers Facts to Know, Vocabulary, Comprehension Questions and Activities. D’Aulaires’ Book of Greek Myths: A classic in children’s literature, this 192 page illustrated book tells the stories of ancient Greece in a way that is accessible to older kids, but not simplified or watered down. The language is rich and humorous and the art throughout the book is excellent. Students will learn about the major and minor gods and how they came into being, as well as the mortal descendants of Zeus, providing them with an in-depth exploration of a wide range of Greek mythology. The book was written and illustrated by Ingri and Edgar Parin D’Aulaires. Greek Mythology Flashcards: We used these for review, and also to play a trivia type game. My 16 year-old joined us, and proved that she is still the know-it-all when it comes to Greek Mythology, but her sister is quickly gaining on her. In my 12 year-old’s defense, she has not yet completed the entire program, so there were some stories and characters she was not familiar with yet! A page from the story. Once my daughter started reading, I had to keep reminding her to pause to complete the lesson. The stories are so engaging that she often ended up completing multiple lessons in a day, or reading ahead and coming back to complete the lessons in the student book the next day. I sat along side her for many lessons and we occasionally read aloud from the book. 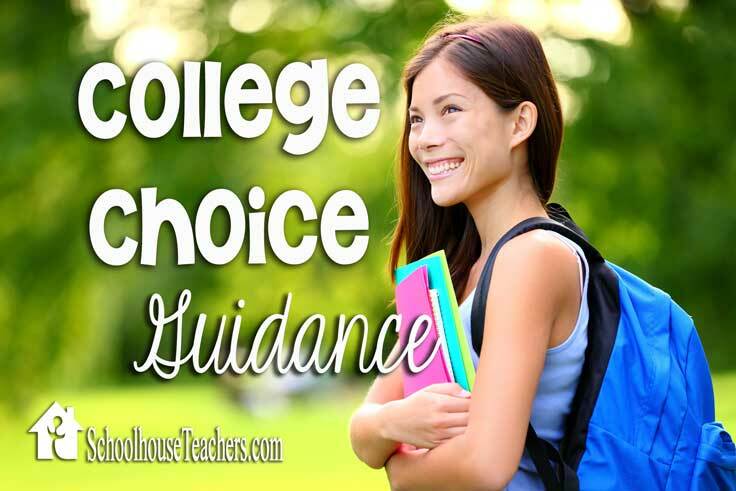 The Student Guide is comprehensive in it’s review of the reading. If your child is speeding through the reading, they will likely need to go back and read certain passages a second time in order to answer the comprehension questions. This curriculum is designed for students in 3-6th grade, but I think older students who haven’t studied mythology before would gain a great deal from this study. My daughter is finishing 6th grade now, but is advanced in her reading comprehension and vocabulary, so she moved very quickly through those sections of the Student Book. Even though is was sometimes too easy for her, I feel (and she would agree!) that it is absolutely worth completing anyway. As with all products from Memoria Press, the guide books are well organized and high quality. With the teacher guide in hand, you won’t need to set aside prep time to introduce your students to classical literature. 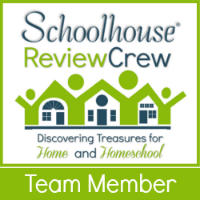 I highly recommend taking the time to add Greek Mythology to your homeschool!